JOHANNESBURG (miningweekly) – The impact of the Fourth Industrial Revolution on the minerals industry has not yet played out, but South Africa’s, and the world’s, ability to generate massive amounts of data and integrate and use them will undoubtedly improve, leading to an acceleration in mineral exploration in the future, states SRK Consulting, an international organisation of professional engineers and scientists. 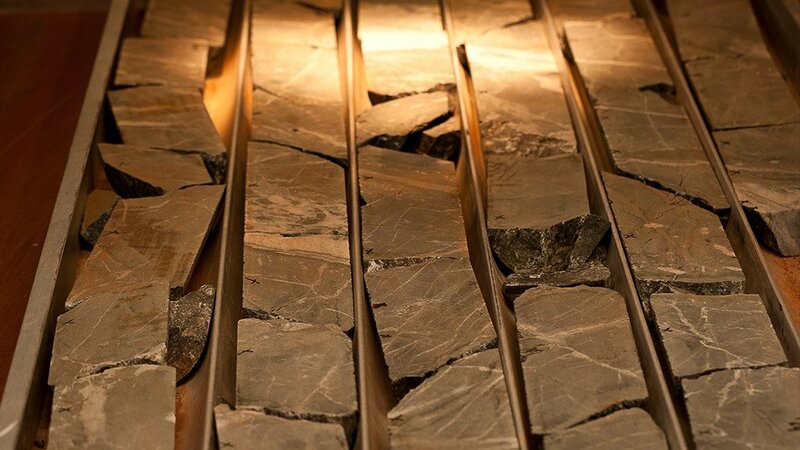 With mineral exploration requiring substantial capital investment over long periods and only a minute percentage of early-stage projects ever resulting in the development of an operating mine, advances in exploration technology are focused on reducing the time it takes to produce exploration results, thus speeding up decision-making. 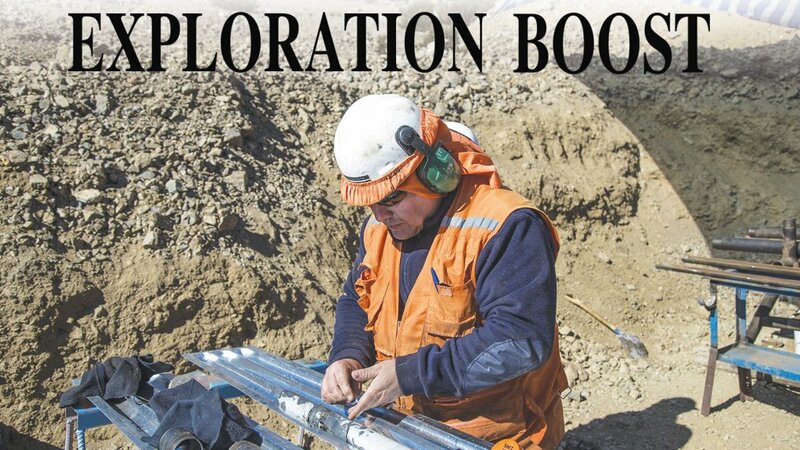 Exploration drilling advisory company Colin Rice Exploration & Training founder Colin Rice tells Mining Weekly that, while different sources quote different figures, he himself estimates that one in 500 exploration projects proceeds to mine development. 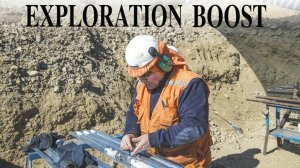 SRK Exploration Services senior exploration geologist John Paul Hunt adds that two other factors driving technological advances in the exploration arena are the need to create new search spaces for minerals and the exponential growth in information technology capabilities. “Most of the near-surface, easy-to-find mineral deposits have already been found, forcing us to look deeper and under cover,” he says. University of the Witwatersrand School of Geosciences associate professor Susan Webb notes that substantial depths of about 2 km are now being reached. “Technologies and innovations can act to extend existing search spaces by locating resources that may have been missed or improve the efficiency of their extraction and use, but the important technologies and innovations are those that create new search spaces. These can be geophysical or remote-sensing technologies, advances in analytical techniques and geochemical sampling methodologies, or even advances in our geological understanding of mineralisation systems, particularly from a process point of view, and not only a descriptive one,” states Hunt. Meanwhile, developments in the electronics field that are resulting in smaller and lighter processors that generate less heat have made it possible to achieve more accurate measurements, owing to a reduction in instrument noise and lower detection limits, explains SRK Consulting corporate consultant: geology Hennie Theart. This has resulted in the application of sophisticated equipment in the field that enables almost real-time interpretation. However, the conversion of analogue and hard-copy information into digital data and its dissemination remain a major challenge. In a presentation titled ‘Big Data: Discovering new minerals in South Africa’, which he delivered during Electra Mining Africa 2018, at the Johannesburg Expo Centre, in September, Webb highlighted this challenge, noting that, in geophysics, the management of data was generally done “quite poorly”, as this was often regarded as an expense. There was also the issue of the time-consuming process of trying to get datasets to ‘talk’ to each other once they were captured digitally, she said, highlighting the need to standardise formats. Webb noted that the value of resolving these challenges would be realised when the data produced by means of exploration technologies could be accessed anywhere and at any time. She stressed that, despite data having been collected for years, nothing was being done with it. “We are actually archiving data because there is nowhere to put it.” However, Webb also pointed out that there were not enough geophysicists available to evaluate this data. Data management was a huge issue, she said, noting a recent call to introduce a programme on mine seismology to get seismologists back on the mines to evaluate data. But the prospects for exploration in South Africa have become brighter, following Mineral Resources Minister Gwede Mantashe’s announcement, in August, of a R20-billion, ten-year plan to boost exploration spend in the country. Webb said the plan would be a game changer, creating an up-to-date dataset. “South Africa was world leading at one point, because we were the first country in Africa to have full coverage of the country, but, unfortunately, that data has not been updated. [The announcement] is a commitment by government to update that data and bring it into the modern age,” she said, adding that Nigeria and Uganda currently had excellent datasets. Big Data comprises multivariable data being collected by an increasing number of sources and in greater volumes, states Hunt. “The challenge for the industry is how to access this data continuously and how to convert it into practical, useable information. If we had the ability to continuously measure variations in ambient gravity, magnetism, electromagnetic field, temperature or any other parameter from the world’s billions of cellphones, for instance, how might that assist us in creating a real-time crowd-sourced model of the physical parameters of the earth and how might that influence how we undertake mineral exploration? “Techniques, technology and software have to be developed that allow the simultaneous integration of polylayered spatial information,” he stresses. As a result, conference topics on exploration are addressing the need for the exploration community to discuss the adaption of new technologies to mineral exploration, the analysis of large datasets using artificial intelligence (AI) and machine learning, and the use of drone technology in mineral exploration. A young Australian company claiming to offer fast exploration technology that delivers high accuracy, efficiency and low cost is mineral exploration technology developer Earth AI. 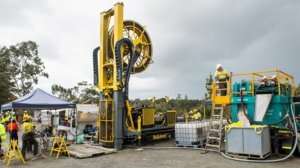 The company has introduced machine learning into the Australian mineral exploration sector by developing the “one and only existing” mineral-targeting technology capable of training from the data-rich regions of Australia and predicting and finding mineralisation in the most greenfield and remote areas, with no pre-existing geological data being available. Earth AI founder and CEO Roman Teslyuk avers that AI will save greenfield exploration. The greenfield stage requires that samples be obtained from a large area quickly and inexpensively to get an idea of the extent and nature of the orebody, if there is one. The rotary air blast, rotary percussion and possibly dual-tube reverse-circulation methods can be used to produce chip samples. As chip sample results are not always reliable, projects progress to more mature stages to collect more reliable information about the orebody. “There is only one way to produce a completely uncontaminated and representative sample, and that is through diamond core drilling. Diamond core drilling is costly, but it is, at this time, irreplaceable as an exploration technique,” says Rice. Substantial advances in diamond core drilling technologies have been made over the years, “but the technique still relies on a diamond core bit cutting through rock and there are physical limits to how quickly a drill rig can rotate”, notes Rice. Consequently, he says, the exploration industry is probably very close to the limit of current core drilling technologies. Since diamond core drilling techniques require a drill rig to rotate a drillstring in a borehole, as the borehole becomes deeper, in-hole friction increases and a lot of energy is consumed in overcoming the friction. “New downhole technologies, like turbines, offer some exciting possibilities for the future, as they do not require the drillstring to rotate, greatly reducing in-hole friction,” Rice adds, noting that several recent innovations in core drilling equipment involve improving efficiencies rather than changing the technology. Rice says, worldwide, there has also been a move towards the automation of drill rigs, removing humans from the equation. This development is largely driven by the need to improve safety, but greater productivity and reliability are also achieved. The other technological advances mentioned by Rice all hail from Australia, where the country’s independent federal government agency responsible for scientific research, the Commonwealth Scientific and Industrial Research Organisation (CSIRO), is involved in several projects to improve the efficiency of data collection. In June 2017, CSIRO licensed its advanced mineral analysis and logging invention – the HyLogger – to Australian mining equipment, technology and services company Corescan. Hunt adds that other interesting advances include directional drilling, which allows an operator to steer towards specific points in space, and coil tube drilling, which is safer, faster, cheaper and goes deeper than conventional air-core or reverse- circulation drilling. Rice highlights the RoXplorer, a coiled tubing drill rig developed by nonprofit company Deep Exploration Technologies Cooperative Research Centre. The introduction of sonic drilling, which enables perfect core recovery of both solid rock and unlithified or rock lithologies susceptible to sample loss when using air or water for drilling, is another advance, Hunt points out. The minerals industry is known for being slow in adopting new technologies. In general, the industry is embracing the new technologies to fill the growing gap between commodity demand and supply, but, given the demand on the industry to replenish depleting resources and the pace at which technology is progressing, Hunt says, there are huge first-mover opportunities in new search spaces. But how much of this new technology is in demand in South Africa, where the exploration industry has been in a slump since the commodities price plunge of 2010/11, with all work currently focused on late-stage exploration or mine-site projects? “If the return on investment is low or the investment is risky, no one will invest in an exploration project. Therefore, essentially, most of South Africa’s past exploration drilling was for mine extensions rather than the discovery of new deposits. “Although there has been evidence of a slight upturn in exploration activity over the past couple of years . . . it is mostly driven by taking existing projects to their next stage rather than pure greenfield exploration,” Rice notes. Consequently, South Africa accounted for only 1% of global exploration spend in 2017, compared with the 14% that Canada and Australia each contributed and the 13% spent by the rest of Africa, Minerals Council CEO Roger Baxter told delegates at the Africa Down Under 2018 conference. Exploration in the country is also significantly influenced by the controversial third iteration of the Mining Charter and South Africa’s current level of political uncertainty, which may only be resolved after the 2019 elections.